Dr Slade earned his PhD in Natural Medicine at New Eden School of Natural Health. He has two doctorates and a PhD in Natural Medicine. 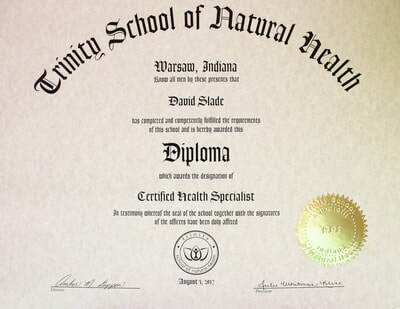 He is a Certified Naturopath, Certified Health Specialist and a Certified Natural Health Professional. 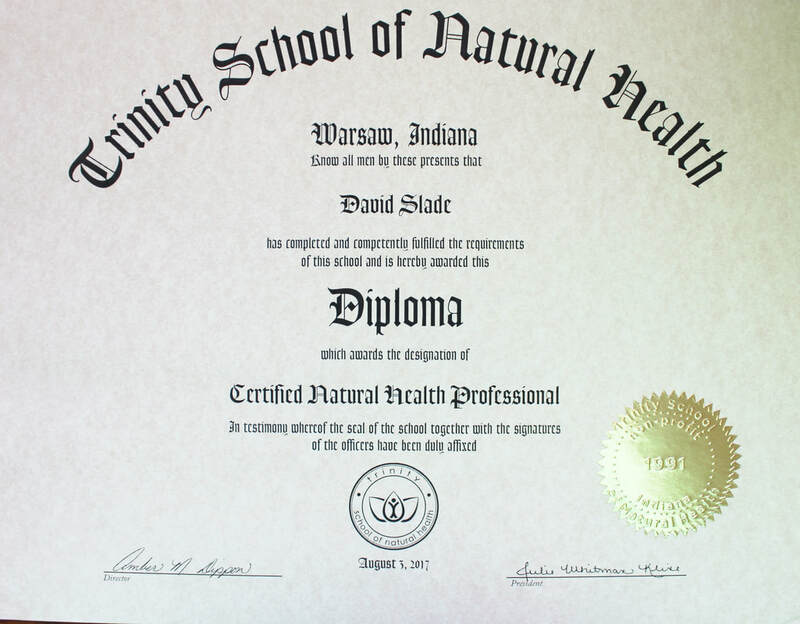 Dr Slade is a "Natural Health Nutritional Expert" who focuses on detoxification, strategic organic meal planning and immune system health through education. Cars and trucks receive monthly tuneups, oil changes and tire rotations but we often neglect the care of our own nutritional needs for years sometimes even decades. Todays fast paced culture is abundant with pesticides, toxins, mold, parasites, heavy metals, formaldehyde, car exhaust fumes, yeast, GMO FOODS and a growing list of dangerous bacteria and viruses that can bioaccumulate in the tissues and organs of growing children and adults. Certified Naturopaths guide and teach their clients natural health approaches such as detoxification, dietary improvements, aromatherapy, exercise, rest, sunshine, nutritional counseling, targeted organically based meal programs. There is no one size fits all everyone is different and everyone has different nutritional needs and dietary goals based on their age, weight and overall health condition. There is always room for improvement even for the very best of us. Feel free to contact our office for an educational appointment should you wish to explore nutritional health to reach your own fitness and nutritional goals. LOCATION ON GOOGLE MAPS "CLICK ON LINK"